Did you read the blog post recipe on Grilled Honey and Sriracha Chicken and think “What the heck am I supposed to do with the extra can of orange juice concentrate?” Besides making a quart of orange juice, you can make the Grilled Cinnamon Pineapple Slices with Orange and Vanilla as a side dish or a dessert. Have you ever had that Dole Orange Juice that has pineapple in it? That is the inspiration here! Jason loves that orange juice! I think it is the sweet/tart experience that makes it so delicious. Just like in the Grilled Honey and Sriracha Chicken recipe, you will need this can of concentrate to be defrosted. If it’s not, it won’t soak into the pineapple when mixing. Don’t try to defrost it in the microwave. It has that silver ring around the top that may cause trouble when microwaved. 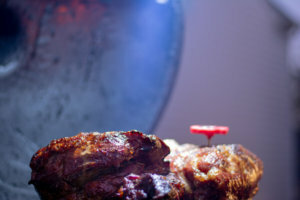 This is going to be that rare time that you will have a recipe from us that you have to think about a few hours earlier in the day! The rest of the directions are lickity-split, but this step needs to be done ahead of time. I love how fast it is to grill fruits, especially pineapple. 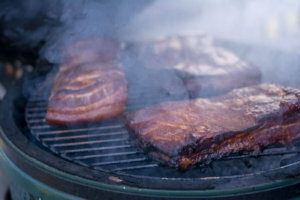 Set up the grill for direct heat and bring the temperature to 350 degrees. I added my favorite secret-grilling-weapon, the GrillGrate to the grating and gave it a light oiling to help prevent sticking. 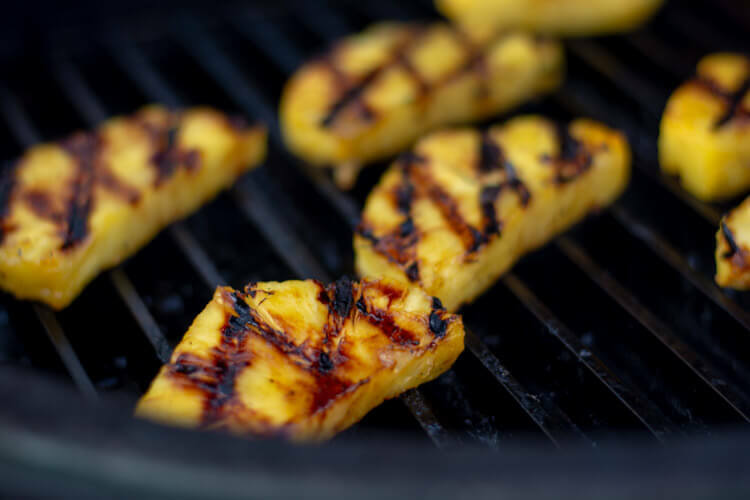 When the grill is up to temperature, add the slices of the marinated pineapple. Grill each side for 3-4 minutes. It doesn’t take long. 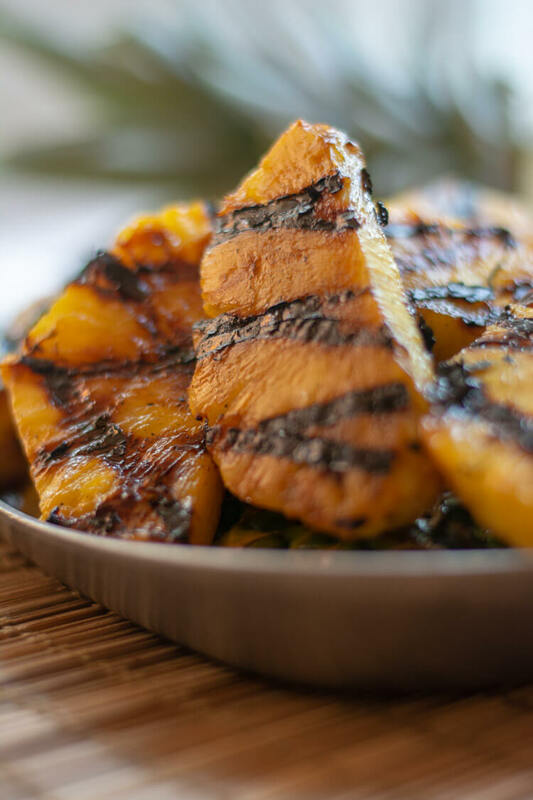 The GrillGrate leaves really fantastic sear marks on the grilled pineapple slices. 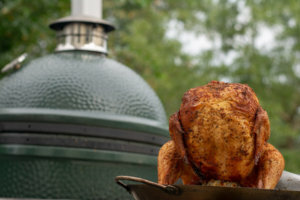 I used the Big Green Egg for this grilling, but you can easily use another charcoal or gas grill. This is just an incredible, easy dish that can be served as a side or as a dessert. Jason put a scoop of ice cream on his as a dessert and it was soooo good!!! Heat grill to 350 degrees on direct heat. Combine vanilla, orange juice concentrate, cinnamon and butter together in a bowl and mix. Put ingredients in a zip lock bag. Slice the pineapple and remove the core. Slice pineapple into 3/4 inch slices and put in zip lock bag with the orange mixture and allow to sit 5-10 minutes, maximum. 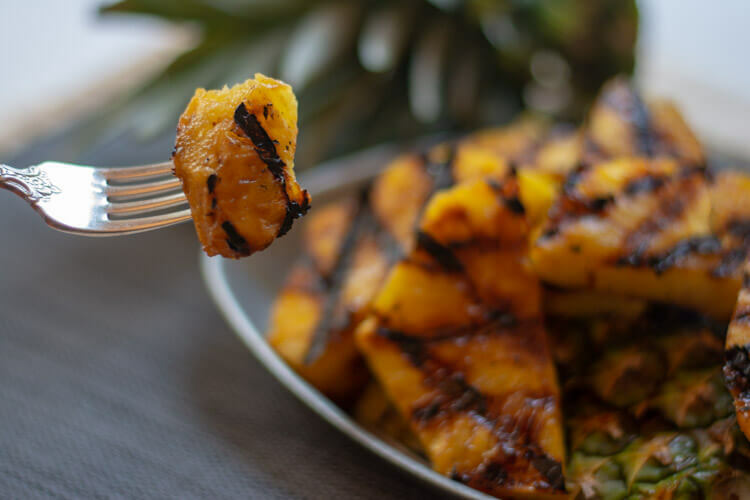 Place pineapple slices on the grill and cook for 3-4 minutes. Flip. Grill second side 3-4 minutes. 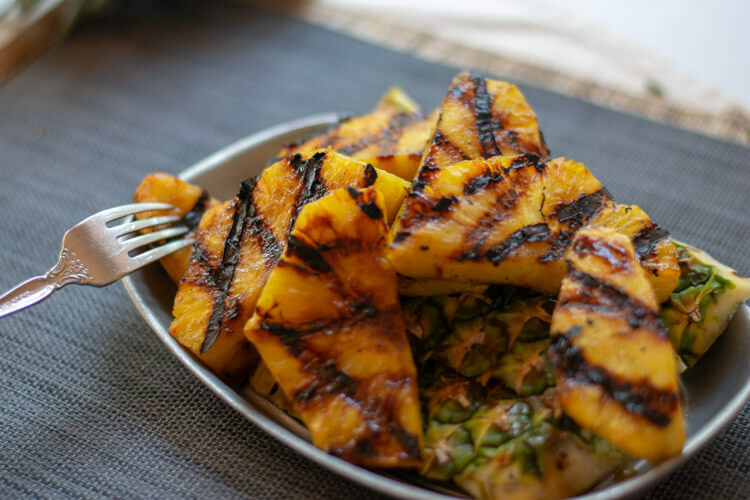 Once the pineapple is flipped, brush the newly grilled side with the orange mixture from the bag. It will start to sink into pineapple grooves and caramelize. Turn over one last time to brush the orange mixture to the second side and remove from the grill. You can safely use the orange mixture from the zip lock bag as you are only marinading fruit, not raw meat. This is not something to ever do with raw meat. Nutrition facts are based on one whole pineapple as the recipe plug in doesn't calculate partial pineapples.